Summary: Boat fabric and canvas can take a beating from the elements. Extend the lifetime of these items by cleaning them regularly, making sure they are dry, and avoiding snow build up. When cleaning such fabric, make sure to use warm water and a mild detergent to protect the water repellant layer. Sun, wind, and water can do some damage to anything made of marine canvas or fabric. Limit the damage with regular cleaning and care. Here are some tips on looking after your boat canvas and preventing costly replacements. 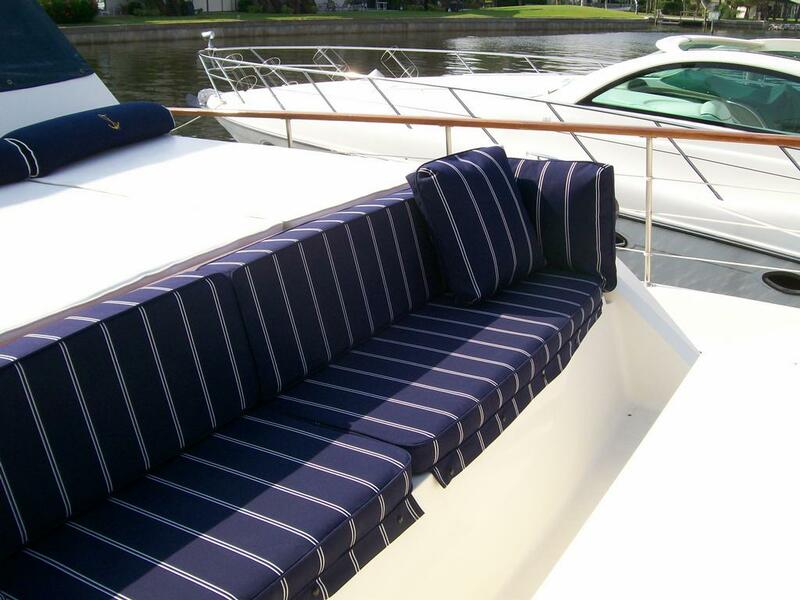 If you look at the care guidelines for most marine fabrics, they will state that the fabrics themselves are resistant to the growth of mildew. However, once there is a decent layer of dirt and moisture, mildew will grow anyway. It just won’t be on the fabric but on the layer of dirt. This is why you need to clean regularly. During the winter months, do not let snow accumulate on your boat cover. The first issue is that the growing weight will eventually damage or break the cover. The other issue is that when the snow does eventually melt, the moisture can lead to other issues. Dry all your canvas and fabric items thoroughly. Never store or fold anything unless it is completely dry. Not doing so can result in mold or rot setting in over time. Especially in cold storage. Also, don’t use marine fabrics in a dryer, everything should air dry. When cleaning use warm water and a mild cleaner whenever possible. Use a cleaner specifically with a formula meant for marine, outdoor use, or the protective water repellant layer will disintegrate. Written by The Foam Factory. Anti-microbial and long-lasting, the Dryfast foam can be cut to fit any size for boat mattress replacement.